Discover how to develop trust in your sales lead generation efforts when you have the chance to connect with a senior executive. A senior executive can be a powerful ally for a sales professional. But their high level of responsibility means senior executives have to be careful about who they trust. Stanford social psychologist Roderick Kramer reports that 8 out of 10 senior executives have been burned in their career because they trusted the wrong person. Building trust has been and always will be a critical component of selling. When you’re dealing with a senior-level prospect, it’s even more important to tailor your approach to the concerns that come with their job description. 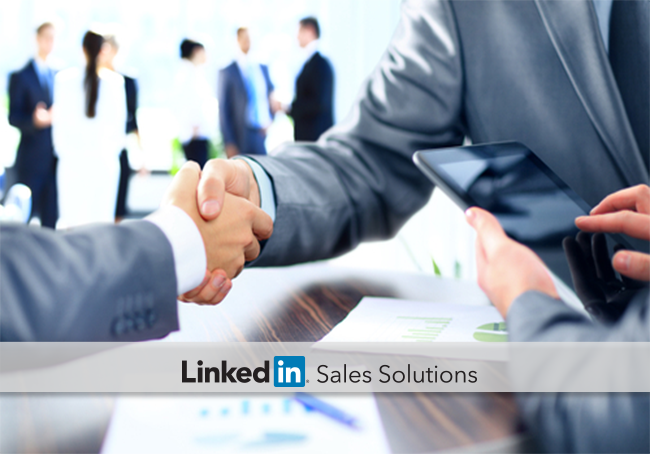 When your sales lead generation efforts enable you to catch the attention of a senior executive, here are three ways you can use LinkedIn to help earn their trust. Senior executives need to know that the sales professionals they work with have the knowledge and expertise to do the job. Establish a foundation for your expertise by optimizing your LinkedIn profile to accurately reflect your professional brand. Provide concrete examples of your past successes and your customer-centric philosophy. After optimizing your profile, you can demonstrate your expertise with a little targeted research. To better understand the potential challenges you can help solve, look at what the executive’s company is sharing on LinkedIn and check out the executive’s own LinkedIn activity. Sixty-three percent of social buyers report that they actually appreciate being contacted at the right time with relevant opportunities. Get to the Point. Senior executives receive hundreds of emails a day. Use InMail to stay out of their crowded email queue, and keep it brief. Stick to just the pertinent details, keep it snappy, and end with a clear statement of why you’re contacting them and the next step you’re proposing. If you can make your message memorable without getting off track, even better. Make sure your messages add value. Avoid the temptation to “just check in.” Save your outreach for worthwhile discussion or for when you have a piece of content that’s worth their time. Be present and accessible. Don’t make them wait for a response when they reach out to you. Forty-four percent of social buyers find potential vendors by looking at shared LinkedIn connections. When you view the executive’s profile, LinkedIn will show you connections the two of you share. If you share a mutual connection, try contacting this person to broker a warm introduction. If you don’t have a connection in common, you can establish relevancy by joining a LinkedIn Group the executive participates in. Make yourself a valued member of that community by engaging in the conversation. You can refer to your common group membership in your outreach efforts, and you may also have opportunities to engage directly with senior executives within the group. Senior-level executives have a lot at stake with each professional relationship they form. Asking them to trust you won’t cut it; that trust has to be earned. If you can establish your expertise, respect their time, and provide social proof, you’re more likely to prove your worth and make that senior-level connection.